Even if you have a remote support tool, the changing demands of business may necessitate a change. Now may be the time to reevaluate your remote support to add new capabilities, increase efficiency and consolidate support tools. 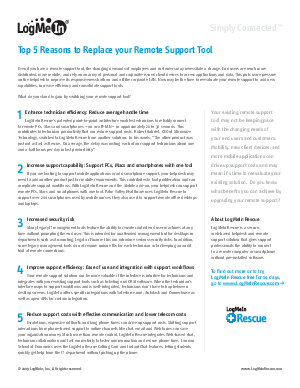 What do you stand to gain by switching your remote support tool?